Working within a dynamic and fast moving environment, across all business areas, to deliver IT services that enable us to successfully achieve our growth plans. Our requirement is for an experienced individual capable of working on their own initiative and communicating effectively with colleagues both verbally and in writing. The candidate will be willing to play a leading role in IT project activities and routine system maintenance. This role will primarily focus on 3rd line application support and delivery of enhancements to our Office 365 and CRM solutions ensuring the business maximizes the potential of the systems. The successful candidate will be a highly-motivated self-starter with a huge amount of enthusiasm and an ability to work as part of a team with a willingness to adopt a flexible approach to working on BAU and project work. A true team player who is positive in outlook and customer focused. Excellent and proven organisation skills with the ability to prioritise conflicting demands combined with the ability to work under pressure and deliver to tight timescales. Conscientious and passionate about the quality of your work. Provide dedicated support, configuration and administration to the companies Dynamics CRM platform (O365). Creating and managing system administration, including product, schedule and user functions in line with business change processes. Control and document all administrative changes. Managing outsourced development and support providers to objectives, deadlines and SLAs. Drafts and maintains procedures and documentation for applications support. Manages application enhancements to improve business performance. Ensures that all requests for support are dealt with according to set standards and procedures. Ensures system configuration information is complete, current and accurate. Maintains and updates Knowledge Base articles and system documentation whenever required particularly during/after system updates. Provide data reporting via Power BI. Analysis of report requirements through liaison with internal colleagues and external clients. Work with operational and commercial colleagues to understand the business information requirements and to ensure the accuracy and relevance of the information reported. Deal with third parties to provide maintenance assistance as and when required. Provide escalation management of support activities in a timely manner. The ability to communicate effectively and with appropriate sensitivity with a wide variety of colleagues and suppliers. The ability to prioritize work without the need for close supervision. Accreditation or demonstrable knowledge on Microsoft Dynamics 365 would be desirable. Reporting tools, primarily Power BI. Experience of Cloud based services. Excellent organizational/administrative/technical skills with agility to re-prioritize as necessary. Strong customer focus and enthusiasm for achieving excellence. Proven attention to detail and high standards for quality. Communication and interpersonal / customer service skills required. Ability to work with all levels of an organization required. Adopts an assertive and confident approach. 3 years Microsoft Dynamics CRM experience. At least 3 years experience provisioning, developing and supporting companies Office 365 services. Strong SQL Server and Reporting experience. The ability to undertake basic customization and configuration (Microsoft CRM). Leisure, retail, e-commerce or logistics experience. Flexible in approach to changing demands of business and working hours. Willing to work ‘Out of Hours’ when necessary. Relevant degree (Science based) or, HNC (with relevant experience). Relevant IT qualifications would be beneficial. 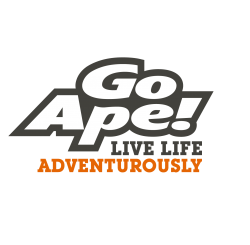 Take forests all over the UK, multiple awards and thousands of avid adventurers and you’ve got Go Ape – we’re the UK’s number-one name in forest adventures. We’re campaigning to keep the adventure in adventure. We believe if you want to develop in life, you have to take risks – and we want to inspire people to do just that; by challenging, surprising and exciting them. By giving them the confidence and encouragement they need to turn ‘I can’t’ into ‘I can’. It’s important to us to be socially and environmentally responsible and create worthwhile and well rewarded careers for our employees.In short, we just want to do the right thing. Sounds a bit worthy, we know. But we really mean it.